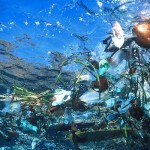 Not all plastic waste is floating at the surface of the ocean. 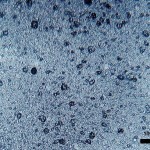 According to an article in the journal Biogeosciences, small particles are located in the deeper parts of the water column. For the first time, scientists have determined where and how deep plastic particles are located when they are not floating at the surface. Strong winds and big waves cause turbulence in the water, pushing small pieces of plastic downward into deeper parts of the water. Computer models already predicted this, but it was not tested in the field until now. 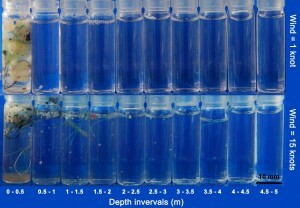 The amount of plastic particles per 50 centimeters depth when there is no wind and calm water (above) and when the wind is strong, combined with big waves (below). Source: Reisser et al., 2015. 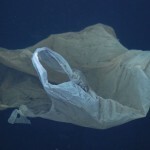 In the North Atlantic gyre, a rotating ocean current and a hotspot for plastic waste, researchers counted and measured the amount of plastic particles up to 5 meters deep. The amount of plastic pieces went down with depth and most of these pieces were smaller than 1 millimeter. 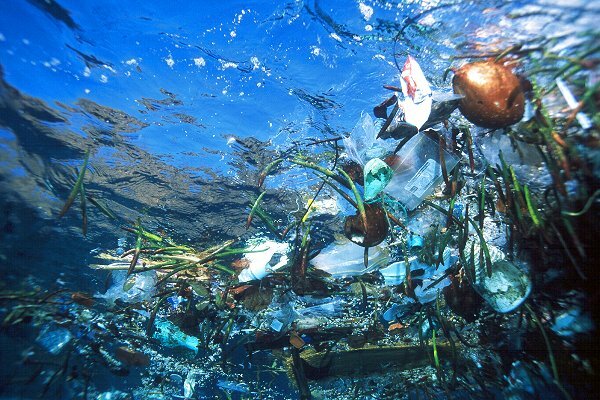 Because these small particles are less buoyant than larger pieces of plastic, they can easily sink into deeper ocean layers where they can cause harm to marine life. 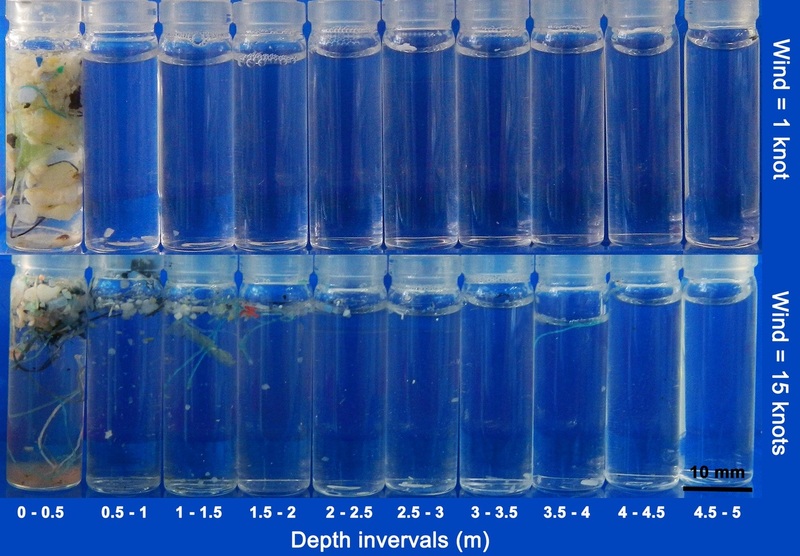 According to the researchers, mapping the vertical distribution of plastic waste in the water column will improve predictions of plastic loads, particle sizes, and ecological impacts to marine life.